Situational awareness: Google’s parent company made $33.7 billion in revenue in Q3, up 21% year over year, with modest growth in revenue outside ads. Amazon reported $56.6 billion in revenue for the quarter, missing projections by half a billion. Law enforcement officials on both coasts are working to track down the terrorist(s) responsible for at least 10 suspected explosive devices. Authorities are focusing on Florida, the NYT reported this afternoon, because the USPS believes many of the packages were sent from there. "Though investigators initially believed that some of the packages were delivered by hand or by courier, they have now concluded that all 10 were likely sent through the mail, a person briefed on the matter said." "All the packages were sent in manila envelopes lined with Bubble Wrap. 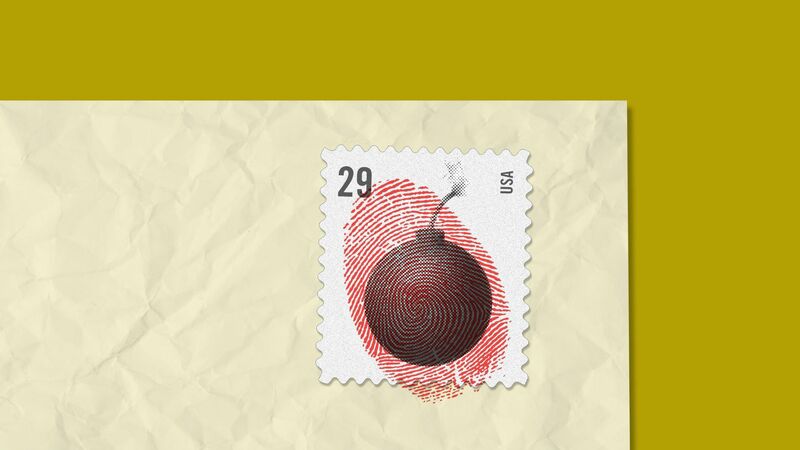 They each had about a half dozen first-class postage stamps on them and return addresses with the name, misspelled, of [Debbie] Wasserman Schultz... The mailing labels were printed on a computer." What he's saying: "A very big part of the Anger we see today in our society is caused by the purposely false and inaccurate reporting of the Mainstream Media that I refer to as Fake News. It has gotten so bad and hateful that it is beyond description," President Trump tweeted. What's next: "For now, the packages are being sent to an FBI lab in Virginia, which is the first step in the forensic search for their sender," The Verge reports. "The packages have already left behind clues that investigators can now examine. Trace evidence could include lingering DNA or fibers found on the packages." "Investigators will begin disassembling the packages in an attempt to trace them back to their sender." Former ATF agent James Cavanaugh: "Unlike a mass shooter — who runs into a place, shoots everybody up, and then shoots himself in the head — mail bombers want to get away." The bottom line: Fortunately, no one has been hurt, none of the devices have exploded on their own and security procedures to intercept these devices appear to be working. 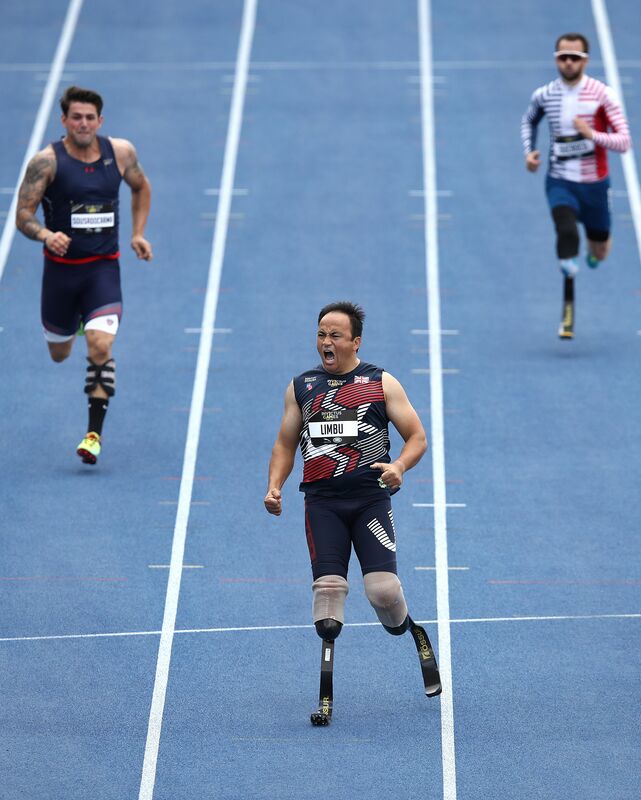 Kushal Limbu of the U.K. celebrates winning the Men's 200m IT1 Final during day six of the Invictus Games at Sydney Olympic Park Athletics Center. The Department of Defense is expected to send 800 additional troops to the southern border as a caravan of Central American migrants travels through Mexico toward the U.S. The big picture. Julie Swetnick and her attorney Michael Avenatti have been referred to the Justice Department for criminal investigation for engaging in "potential conspiracy" during Brett Kavanaugh's confirmation process. Details. Former House Speaker Newt Gingrich, speaking at an Axios event today, said Trump's attacks on the media as "the enemy of the people" don't help improve the American political divide, but that he thinks "they've earned it." Watch. Android creator Andy Rubin's 2014 departure from Google took place after the company found sexual misconduct allegations against him credible, The New York Times reports. Why it matters. Trump took aim at what he called "global freeloading" today as his administration began to roll out a plan that would change the way Medicare pays for certain drugs. How it works. Goodwill workers in New Jersey have found a 1774 Philadelphia newspaper with the "Unite or Die" masthead design, the AP reports. "The frayed Dec. 28, 1774, edition of the Pennsylvania Journal and the Weekly Advertiser boasts three items signed by John Hancock, who pleads for the Colonies to fight back 'enemies' who would divide them."